Bible Hour would like to cordially invite you to listen this week’s Bible Hour Webinar led by Evg. Nelson Thomas, Bombay. Date and Time: Sunday, February 24, 2013 at 08:30 pm EST. 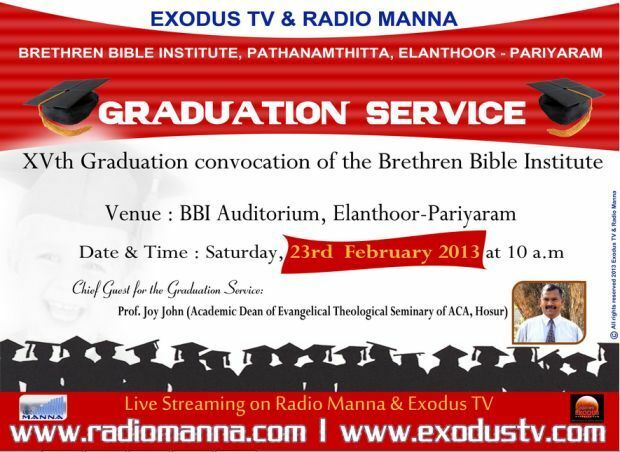 LIVE BROADCASTING ON SATURDAY, 23RD FEBRUARY 2013 FROM 10 A.M.